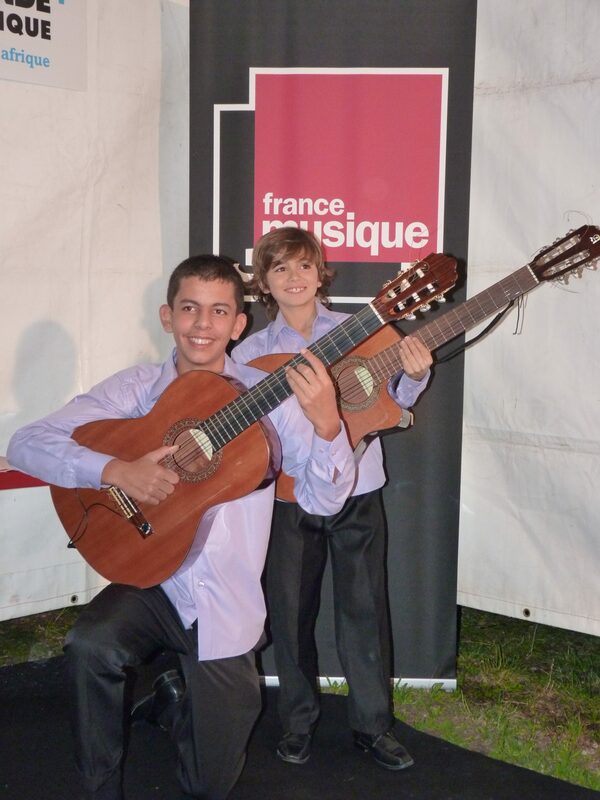 Esteban and Diego – French Flamenco cousins! Every now and then there comes a musical act that slowly draws you in until you find yourself hooked. Even more rarely, comes an act like the French duo “Esteban and Diego” that grabs you by both hands and starts dancing the passo doblo with you! I first encountered Esteban and Diego when looking for musical contributions to the International Christmas Child charity album. If I were to summarise these boys in one word it would have to be ‘energy’. All the exuberant, cheeky, humour so characteristic of young boys, but also the energy apparent in their dedication to their music and in their commitment to each other. Esteban and Diego’s mothers are sisters and as close as sisters can be, so it was natural that the young cousins began playing together from an early age. During a New Year celebration, the family discovered with amazement that Esteban had an incredible talent for singing. 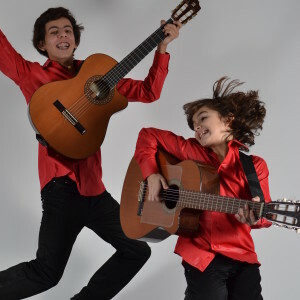 Diego was already a gifted guitarist and, since they were inseparable, the duo was born! 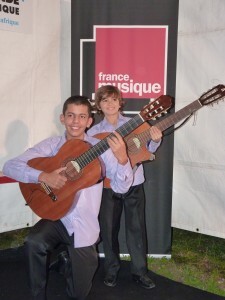 They take guitar lessons from Manu who is a guitar teacher of the association “El Hogar de los Españoles” in La Plaine Saint Denis, near Paris. 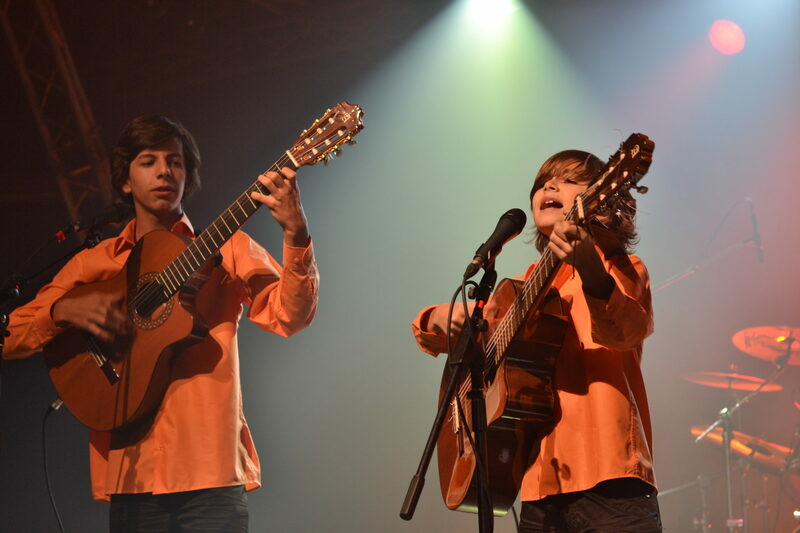 Hence, you will hear a distinctly Spanish, Flamenco flavour to their music and may see them referred to either as “Esteban y Diego” (Spanish) or “Esteban et Diego” (French) or indeed, since I am writing in English, I will refer to them as “Esteban and Diego” to avoid confusion! 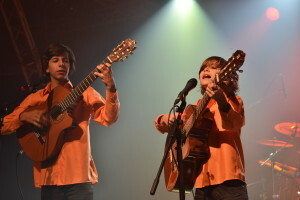 In December 2009, they played for the first time as “Esteban and Diego” to an association for the mayor of the 19th in Paris. Soon after, they were performing various concerts in Paris and its suburbs. October 12, 2011, they opened the French live music festival “Cities of World Music.” On 09 November 2011, they performed on the show “France has got Talent”. Performance requests began pouring in from all over France and the young musicians continued to grow their fan base at home and abroad. Following their TV appearances, they were noticed by Marie Jo Audouard of the production company “Be my sound: Hope records.” Soon Esteban and Diego had released their first single “Cuando Bailas” which was composed and performed by the boys. The track is available for download on several internet platforms (Deezer, Amazon etc …). 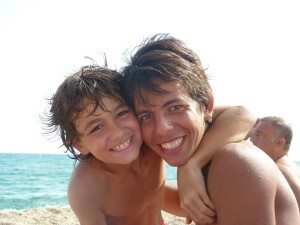 Rémi Castillo – radio host, journalist and producer – also has a heart for this little duo. After hearing their single “Cuando Bailas” he decided to delight the boys by helping them make a music video for their song. Today, Rémi Castillo guides them and helps them grow. In May 2013, he released a book “The Epic of Young Talents” in which he speaks of them. 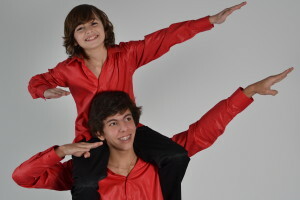 Esteban and Diego have since had numerous TV appearances including “The Voice kids” in September 2014 and a program called “Gulli” in October 2014. 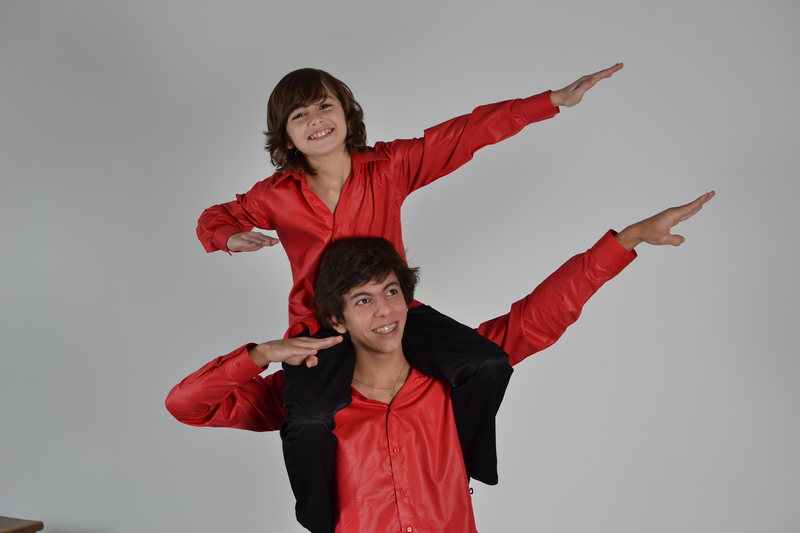 As well as being incredibly talented and entertaining, Esteban and Diego have a special quality which sets them apart from many other groups of their age: they are completely committed to each other. This is not difficult while success remains limited and neither party has much to lose, but for the friendship to survive at the dizzying heights that Esteban and Diego have reached proves that the bond they share is very powerful. I know the boys and their families will not mind me sharing a fairly personal story of when this loyalty was truly put to the test. 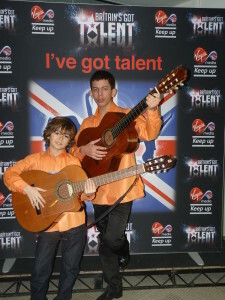 Esteban and Diego travelled to England to audition for “Britain’s Got Talent” a few years ago. This was before their numerous television appearances so, no doubt, it was a big deal for them. The producers liked what they saw and heard. A lot. But there was one condition: Esteban and Diego would have to separate as the producers were not interested in promoting a duo. The boys made their decision quickly and unanimously. They picked up their guitars and went home to France! They were “Esteban and Diego” not “Esteban or Diego”! It is such a delight to see the success the boys are enjoying now. Not only in France but, increasingly, all over the world. It is an honour to be able to feature them here and wish them every success for an exciting future, fuelled by the energy that only Esteban and Diego can give!